The fast food business is pretty exciting to be in. With people looking for quicker service and better options all the time, investing in a Papa John’s franchise might be profitable for you. But before you invest in the pizza franchise, you might also want to consider the risks. Of course, Papa John’s franchise business revenues are generated mostly through your local market reach. Considering this, you might want to research the best franchise locations for the business. However, Papa John’s is the third largest pizza delivery service chain in the world, just one of the reasons you should turn a significant profit. Papa John’s is part of a dynamic history that has defined the American culture. The company started in 1983 with nothing more than some pre-owned pizza equipment and the desire to provide customers better products with fresher ingredients. Today, they have over 4,500 stores all over the globe and about 3,200 in the US. Some would say, Papa John’s has nothing short of a cult following. At the very least, they certainly have more fans than even the most popular salon franchise. 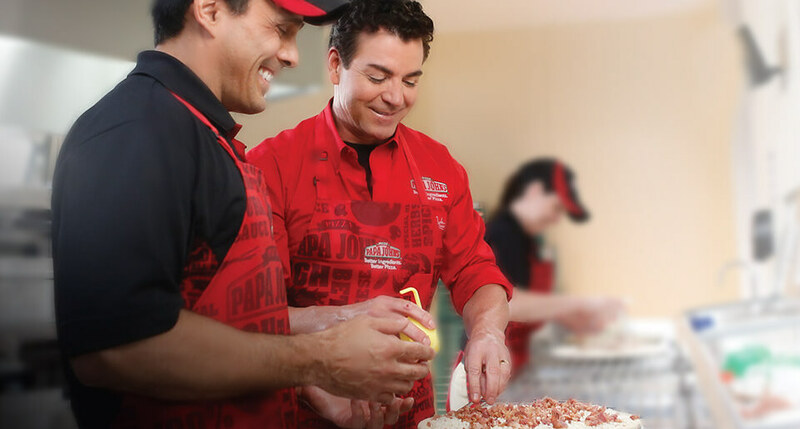 Partnering up with the Papa Johns franchise company might as well be one of the best decisions for your fortune. If the brand value is not tempting enough, here is what the company has to offer franchise owners. Papa John’s provides proven business models to ensure a positive growth in your business. Additionally, the company maintains meticulously chalked out marketing strategies to improve your marketing efforts. Furthermore, their quality products ensure repeat visits from loyal customers. And, of course, the franchise is among the top rated in customer satisfaction. Papa John’s provides training to its franchisees. This is a huge advantage over other fast food franchises. The Papa John’s franchise training program is offered to the business operator at the onset of their franchise experience. Then it lasts about 6-8 weeks, allowing franchise operators a chance to get a handle on managing operations for the first two months before being left on their own. After the intensive 8 week training program, Papa John’s continues to provide ongoing training for the franchise team as necessary. This is a huge advantage that Papa John’s franchises have over the other incorporation competition. Papa John’s franchise offers lucrative incentives for franchise owners. For example, they offer franchise opportunities with zero franchisee fee and a free set of ovens for your new store. The company will also help streamline the operations system, customizing it according to your needs while providing full support and guidance to run the business. Papa John’s pizza franchise is presently looking for more franchise opportunities at new locations. So, if your area does not have a Papa John’s franchise store, you could go on to serve quite a number of happy customers. You may be surprised to learn that you can even benefit from international franchise opportunities with Papa John’s. With just nineteen Papa Johns Qatar locations, this market is ripe with opportunity. If you are not interested in a Middle East franchise, not to worry. There are plenty of international Papa John’s franchises, and yours could be next. The opportunity to open a business abroad is a very exciting prospect for many entrepreneurs. This is a particularly inviting prospect for franchises, since owners do not need to worry about the urban planning software needed to open a business abroad. If you are an entrepreneur with a case of wanderlust, consider opening an international Papa John’s location. If Papa John’s in Qatar has experienced success, there is no doubt that your franchise abroad will succeed, as well.